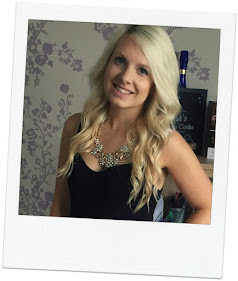 Well it's been a while since one of these posts have been on my blog... the funny thing about 'What's in my Bag' posts is there's never really anything that fascinating inside but it's just interesting to see the finer details and obviously the most important part - the bag. My bag is a Pale Gold Michael Kors Dome Satchel Handbag, from the Cindy range which isn't available anymore but the Savannah Medium Satchel is pretty much identical. 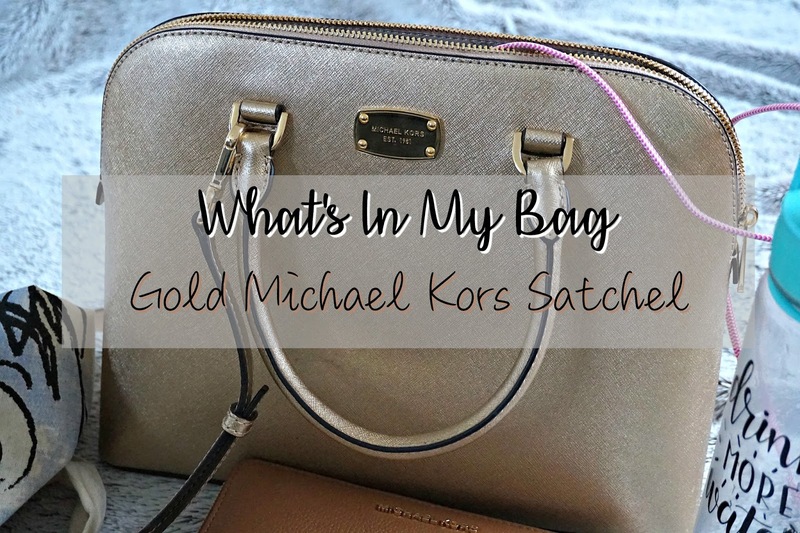 Michael Kors has quite a few handbags in their metallic range which is a big change from my usual black or tan choices. I got my bag for my birthday from my fiancé and he actually bought it in TK Maxx so it was a lovely little bargain. 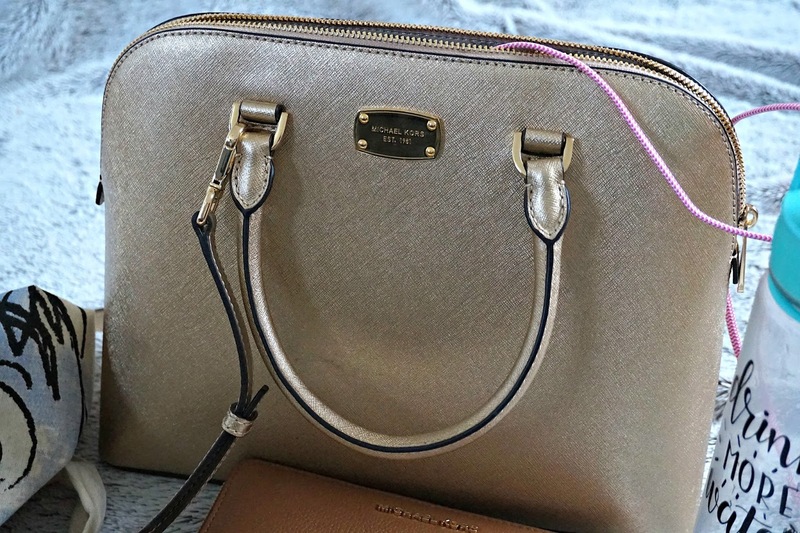 TK Maxx have actually been getting a lot more Michael Kors accessories in their stores so if you can't resist a little designer purchase without the hefty price tag then keep your eye on the website or in stores. The contents of my bag is all very practical, my bag isn't huge and I don't like carrying around anything unnecessary. The only thing not pictured is the bundle of receipts that I seem to gather together at the bottom of my bag from the Post Office, petrol station and Tesco. I take my bag with me to work everyday, to do the food shop on a Saturday morning, if I'm going for a bit of retail therapy or if I'm going out for lunch or dinner. It's a brilliant size for all occasions and with the two handles it's easy to chop and change between the crook of your arm or over your shoulder. The most important thing inside my handbag is another Michael Kors item - my tan Bedford leather wallet. It's such a good sized purse, fitting in all my cards and plenty of space for cash and coins. This was another TK Maxx bargain but as such a classic style similar ones are brought out season after season. Like most people I don't go anywhere without my phone. I've got a Rose Gold iPhone 6 with a Ted Baker case on it. On a day to day basis my phone's battery is fine but if I'm taking a lot of pictures or going on Snapchat too much then the battery drains quickly so I've always got my portable charger handy. Keeping up with the theme it's rose gold with a pink cable. It's nice and compact, fitting nicely into a side pocket of my bag so I don't have to rake around for it. One thing I certainly don't struggle to find in my handbag is my keys! I've got a big bundle of keys and keyrings including the key for my Mini, my 3 house doors and my parents door. I've also got a Smurfette Light Up keyring, Teenage Mutant Ninja Turtle Lego keyring, bottle opener keyring and Tesco Clubcard fob. 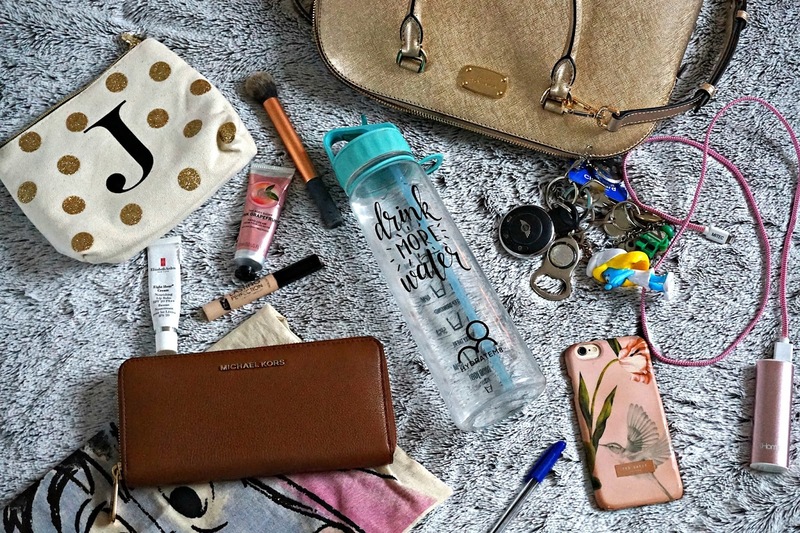 My Hydratem8 is another bulky item in my handbag but I find if I have it with me all of the time I drink plenty of water so it's worth it. I don't carry many beauty products with me but those that I do are all inside my Initial Makeup Bag from Next, that stops any product going on the inside of my bag. My four beauty products are Elizabeth Arden Lip Balm, Body Shop Pink Grapefruit hand cream, Collection Lasting Perfection Concealer and Real Techniques Contour Brush. My last two items are a pen and a reusable shopping bag - adulting at it's finest. The Eeyore bag is from Poundland and is a handy little canvas bag for any little impulse purchases and avoiding paying 5p. What sort of teacher would I be if I didn't have a pen? It's mainly for my food shopping list but it's come in handy on so many occasions.